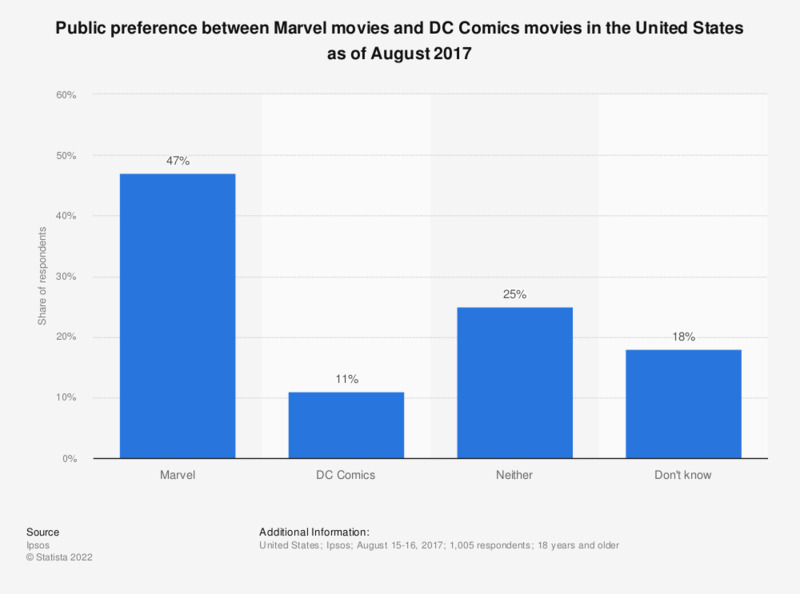 The statistic presents the public preference between Marvel movies and DC Comics movies in the United States as of August 2017. During the survey, 47 percent of respondents stated that the preferred movies from the Marvel Cinematic Universe, which is currently the highest grossing move franchise worldwide. This question was phrased by the source as follows: "Which movie franchise do you like better?"